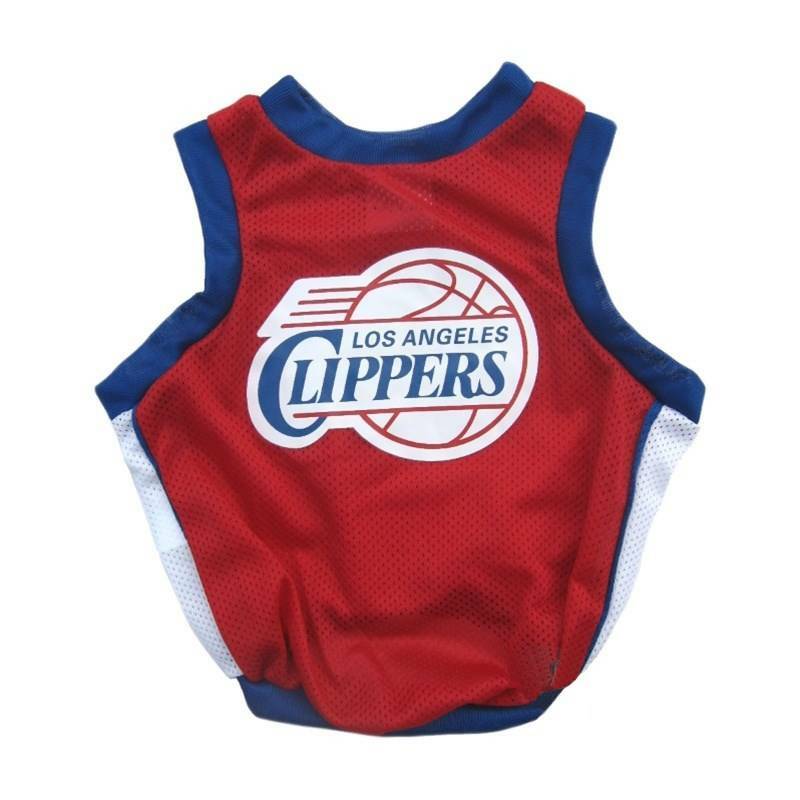 Dress your pet just like the pros with an officially licensed Los Angeles Clippers pet jersey! Dress your pet just like the pros with an officially licensed Los Angeles Clippers pet jersey! Made of polyester/mesh, this jersey features a V-neck, ribbed trim and side panels, and screen-printed team graphics.